Up Close & Political: The Environment is March 4th! 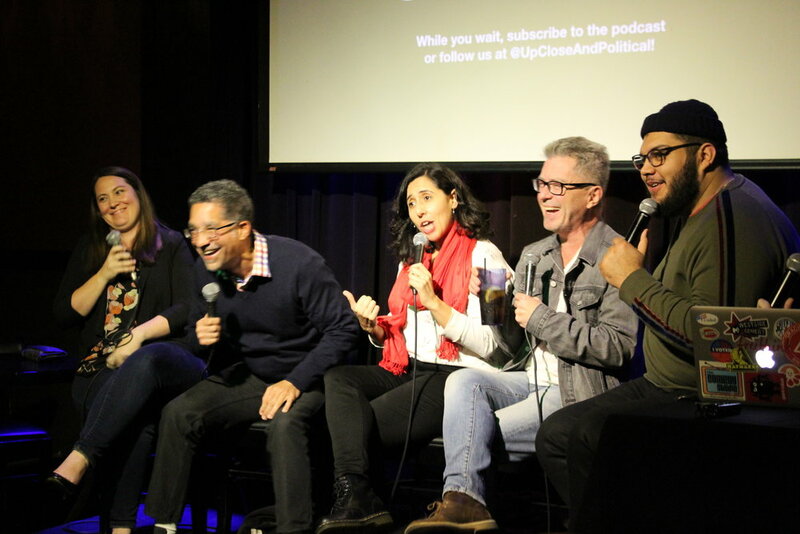 Up Close & Political returns to create a positive environment to discuss the potential collapse of ours! Is the Green New Deal the real deal or do we need a new one? Is it the size of the Pacific Garbage Patch that matters, or the commotion in the ocean? As always, we'll have stand-up on the topic followed by a discussion with experts and your questions! JC Coccoli of Last Comic Standing and the New American Road Trip! Brian McWilliams of Comedy Ahoy! and the Electric Libertyland podcast! Noah Bleich, founder of The Tea Book - a zero-waste organic tea company. He’s also worked with LA Conservation Corps and studied environmental science and marine ecology! Jisung Park, UCLA economics professor studying environmental economics, labor economics, and public finance! It’s going down at the Hollywood Improv Comedy Club on Monday, March 4th from 7:30-9pm—for the environmentally-friendly ticket price of $5 and a one-item minimum.